Advances in Botanical Research publishes in-depth and up-to-date reviews on a wide range of topics in plant sciences. Currently in its 72nd volume, the series features several reviews by recognized experts on all aspects of plant genetics, biochemistry, cell biology, molecular biology, physiology and ecology. 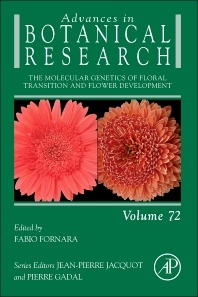 This thematic volume features reviews on the molecular genetics of floral transition and flower development.